This finely crafted large pewter Celtic cross sash/plaid broach is decorated with an intricate interlace design which is inspired by the art of our Pictish and Scots ancestors. The symbolism and enduring appeal of the ancient Celtic cross makes this brooch perfect for your tartan sash or plaid. 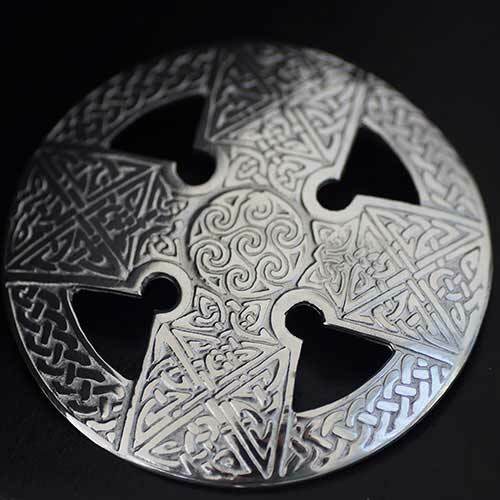 I'm very pleased with this large celtic design brooch and it will serve it purpose. It's for a fly plaid that will be worn at a wedding. Thank you very much for your personal and caring attention.